In one of my strangely popular (!) posts Doing it in public, I mention briefly a wonderful little spot that we quite often like to visit. 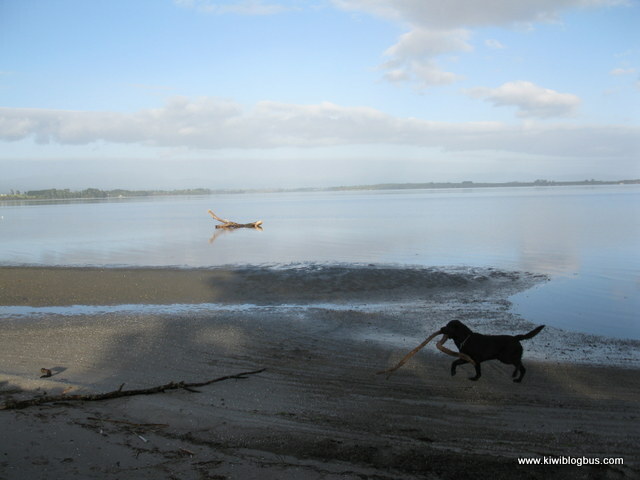 Today I give further, deserved, attention to Fergusson Park in Tauranga. 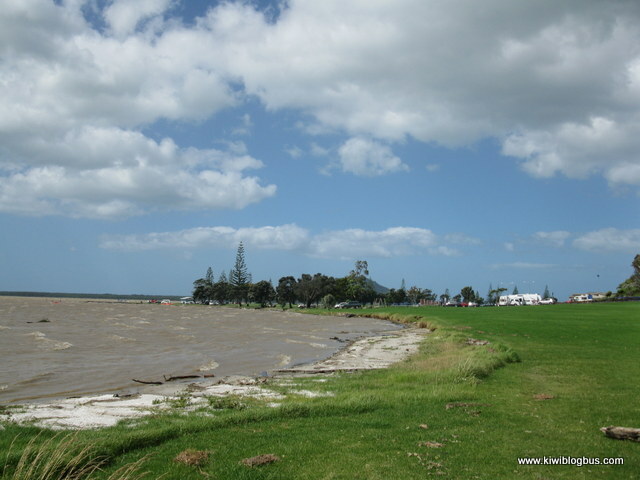 As well as BBQs and a fantastic playground, the large waterside sports field has toilets, changing rooms, a boat ramp and is a very popular area for kiteboarding and windsurfing. 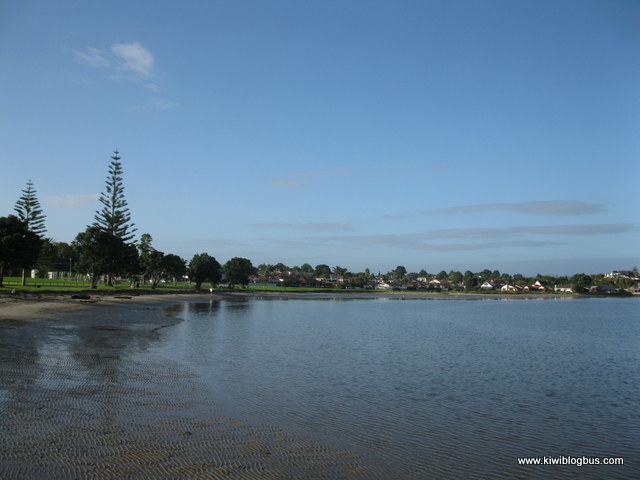 Fergusson park is one of Tauranga’s many fantastic parks but I consider it the best harbourside park. 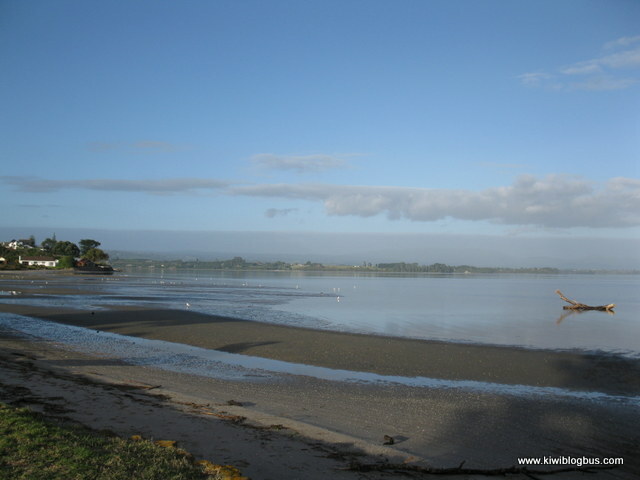 It is situated right on the Matua Foreshore and follows the curve of the inner harbour. 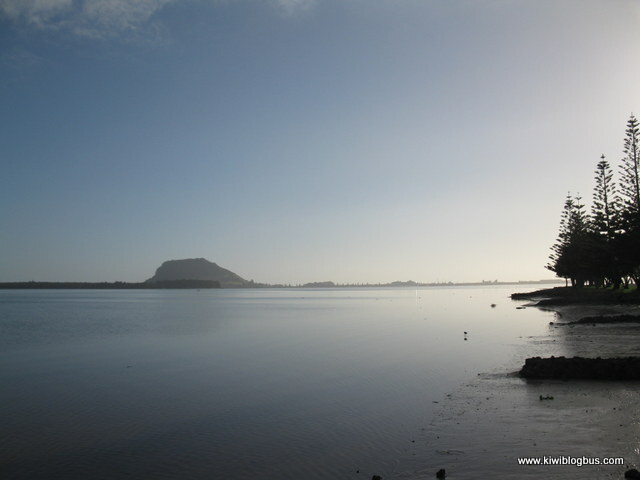 Cycle paths and a coastal walkway offer views across Tauranga Harbour to Mount Maunganui, the harbour entrance and Matakana Island. The walk is made all the better, in my opinion, my the great information boards provided that give historical details of the site – see Otumoetai Heritage Walk for more information. 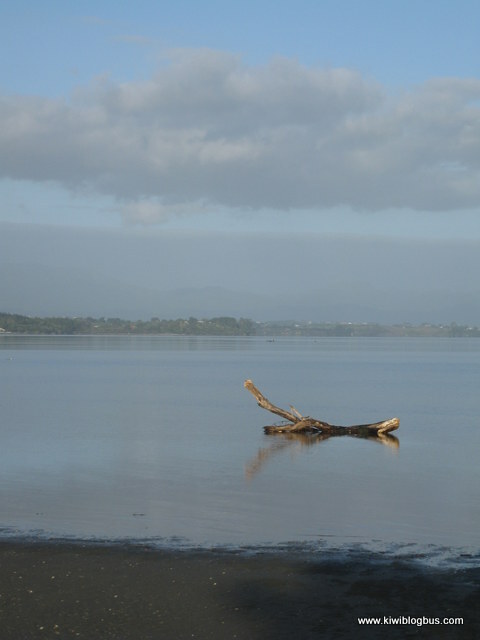 With a pleasant beach and shallow safe waters, Fergusson Park is a great place to visit. 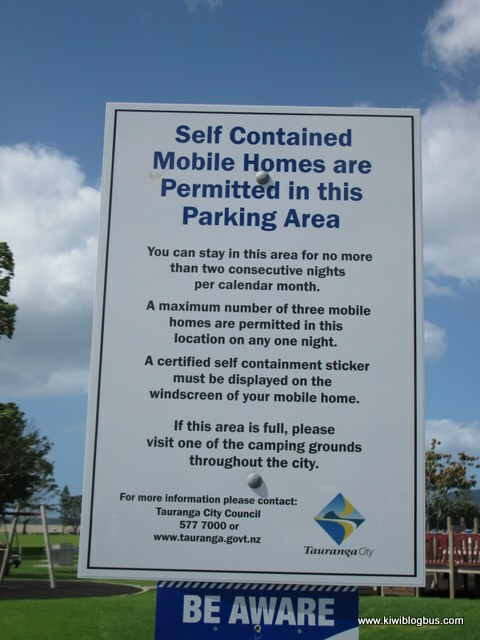 We love the fact that Tauranga Council have jumped aboard and acknowledged the positive sides of visitors freedom camping. To some this may not appear like freedom camping but it will sure do for me. 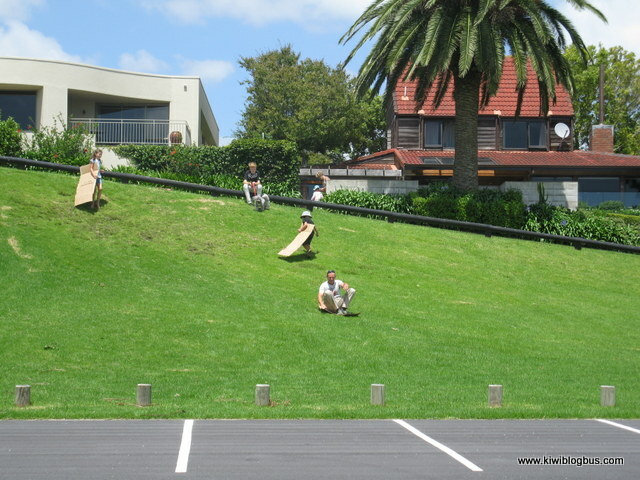 We even tried the new sport of “Grass sledging” when we stayed at Fergusson Park! 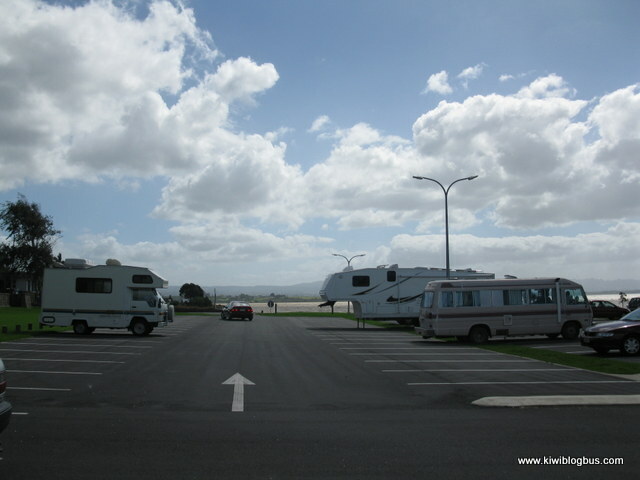 An EXCELLENT alternative to total freedom camping… self contained, organised, safe ….and still in a STUNNING location, what’s not to like?